Since Palmpring Organic Mattress is based and manufactured in California, fire safety has always been a top priority, and we know that fire is a concern in every home across the world. While many companies coat their mattresses with a toxic chemical fire retardant, Palmpring Organic Mattress only uses nature’s fire retardant: organic wool. What are Chemical Flame Retardants? In recent years there have been many scientific studies about how the common flame retardants (such as PBDEs or TDCPPs) used in mattresses, sofas, and other upholstered items, are toxic and build up in the body over time. These chemicals will not bind to the products that they are treated to, meaning they will accumulate in the air and dust in your home. These chemical retardants are linked to cancer, heart disease, and brain development issues. It has also been found to severely harm reproductive organs, fetal development, and immune system function. It is also important to remember that these toxic chemicals are not biodegradable. They will linger in the environment for years and continue to accumulate in people and even animals long after the items were purchased. While no one should be exposed to toxic chemicals or risk their health in any way, the most vulnerable to these dangerous effects are babies and children. Since their brains and bodies are still constantly developing, disruption from toxic chemicals can cause serious health concerns, such as brain development, hormonal and metabolic imbalances. Why is Wool the Best? Wool has a unique molecular structure that makes it naturally flame retardant. It has a high flash point due to having a naturally high nitrogen and water content. Another important fact about wool is that it can never melt, drip, or stick onto skin or other materials. This is drastically different from synthetic fabrics, such as polyester or nylon, which have a low flash point, meaning they are very quick to catch fire, and are known for melting and fusing to other materials, especially skin. At Palmpring we are very proud to offer our customers the safest possible option for their mattress purchase. 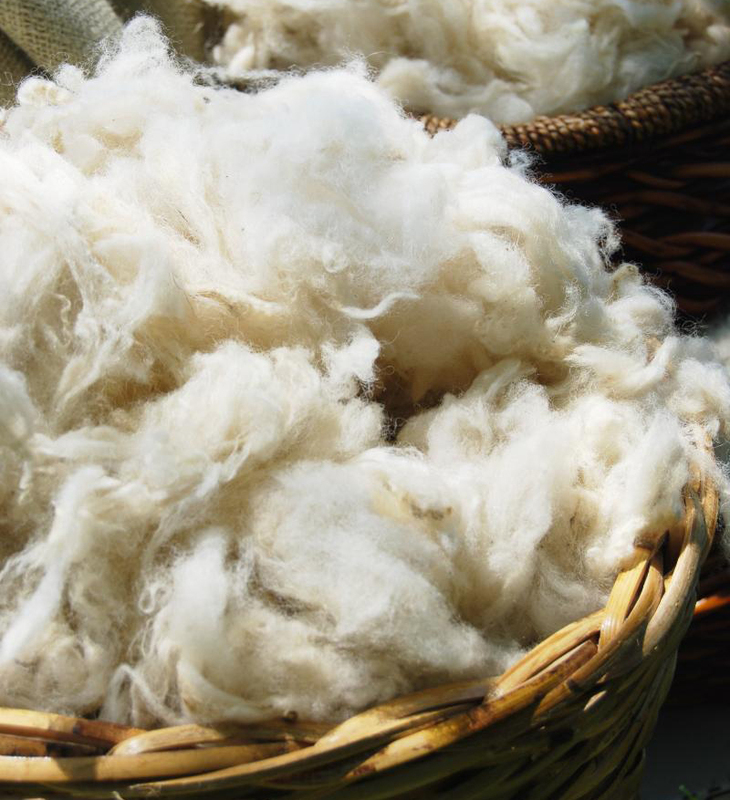 We only use organic wool in our mattress cover. The outer cover is a gentle organic cotton, underneath is the organic wool, and then another layer of organic cotton. This means you get the amazing benefits of the organic wool protecting your mattress from fires, while having the soft touch of the cotton that surrounds it. 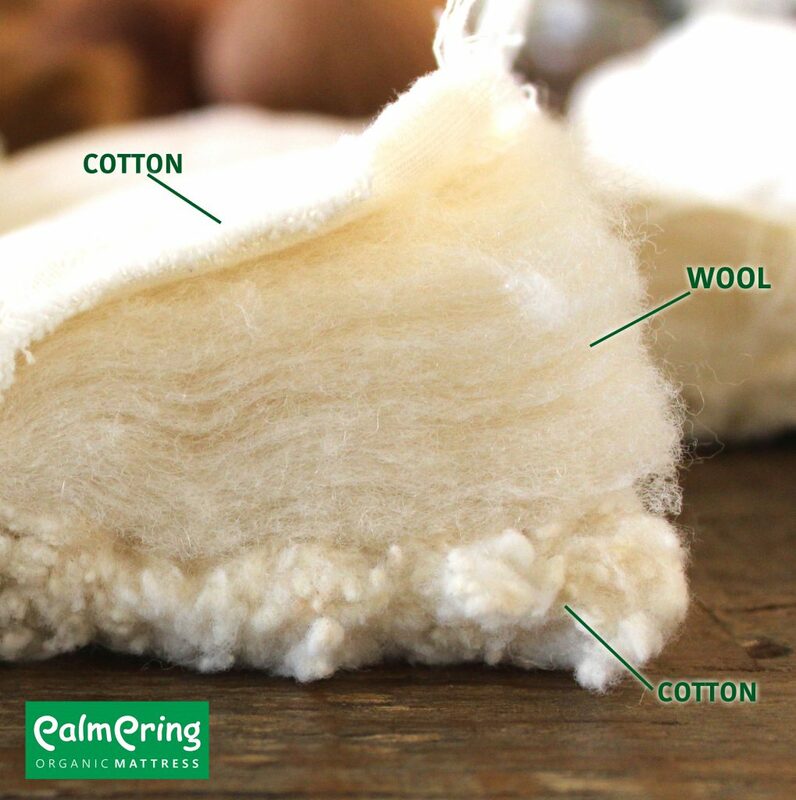 Palmpring Organic Mattress is committed to only using organic materials, especially organic wool as a natural fire retardant, so you never have to worry about toxic chemicals, adhesives, or synthetic materials in your mattress.